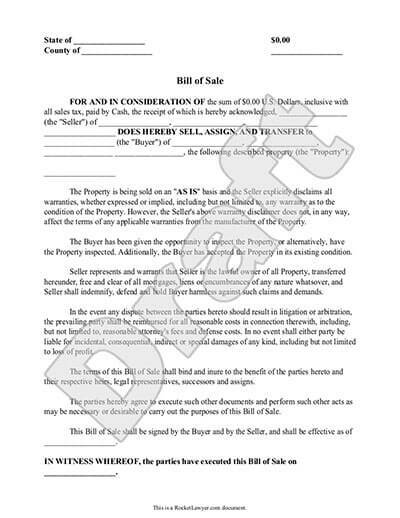 A bill of sale is a type of receipt used to transfer the ownership of an item. It typically includes important information about the purchase such as the names of the buyer and seller, contact information, item description, item price, payment methods and warranty details. As a seller or purchaser, you can use a bill of sale for a used car, or for any other personal property such as a laptop or bike. You own a motor vehicle or other property (not real estate) that you'd like to sell, and you want to record the details of the purchase for your accounting records. You plan to buy an automobile or other items from a private seller and you want to have proof of purchase and a record of the agreement in writing. Many states require a signed bill of sale as proof of purchase in various instances, such as when transferring a title with your state's DMV or when buying and selling branded livestock, including horses. In motor vehicle sales, the automobile bill of sale represents the transfer of the RIGHT to ownership while the vehicle's certificate of title represents ACTUAL ownership and is required in every state. In exchange for the signed auto bill of sale and a small title transfer fee, the purchaser can apply for a title in his/her name at the state's DMV (Department of Motor Vehicles). In Louisiana, Maryland, Nebraska, West Virginia, or Wyoming, the DMV will require a notarized vehicle bill of sale signed by both the buyer and the seller. Depending on your state, you may also be required to have a smog certification. If you're planning on transferring real estate between owners, you can't use a bill of sale agreement. Real estate transactions are simply much more complicated and require different forms, such as a quit claim deed, or forms available only from your state or local government. A bill of sale should be used when transferring ownership, not when performing services. 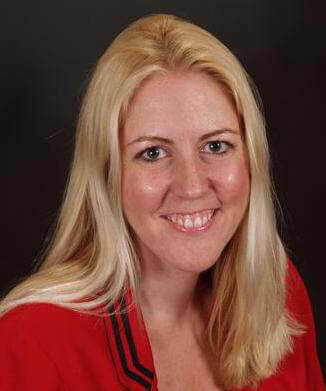 If services are involved (such as woodworking, babysitting, business consulting, etc. ), it's a better idea to use a general contract for services. If you are a business receiving payment for goods sold, you can use a general receipt. This is a matter of personal preference for the buyer or seller, but most people do not feel it necessary to use a bill of sale bill of sale for lower-cost items. If you're selling a guitar, a bill of sale makes a lot of sense. If you're selling a couple old fishing lures or making other small-scale sales, it might be more trouble than it's worth. For other non-automotive property, you'll want to include an accurate detailed description of the item being sold, either within the sales agreement itself, or as an attached exhibit. Deciding whether to sell items on an as-is basis or with a warranty depends on the type of item being sold and whether or not offering a warranty makes financial sense for the seller. Once the decision has been made, it's important to clearly outline the terms in the bill of sale contract. Indicating on a bill of sale that you have sold an item "as is" protects you as a seller if the buyer encounters problems with the item after purchase. For example, if a person buys a used car from you and the motor breaks down after he or she drives away, you are not responsible for the repairs or damages, as long as your automotive bill of sale provides proof that the vehicle was sold as-is. As a seller, you may consider offering a warranty to sweeten the deal for the a prospective purchaser. A limited warranty explains what kinds of damage and item parts are covered for a specific amount of time, such as a trial period. Whether you're selling a car, a guitar, or a puppy, it is critical to state exactly what will and will not be covered when it comes to parts and/or labor, especially if the purchaser is responsible for some portion of the expense. 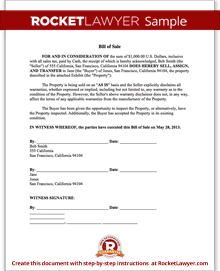 Unlike other generic purchase agreement forms that you find online, our printable bill of sale will always give you the option of adding a warranty or as-is clause as you see fit. Each state has its own sales tax laws, ranging from no sales tax to more complicated requirements, making it important to call your local government agency or look for the information on your government website. Regardless or whether you are the buyer or the seller, if in doubt about your tax obligations, you can always talk to an attorney. If you have any questions about which bill of sale is right for you as a seller or a purchaser, we can connect you with an attorney for quick answers or a contract review. Make trusted documents for hundreds of purposes. Make unlimited revisions and copies. Sign online in seconds. Download and print anytime. Our documents are vetted by lawyers and legal staff, so you can use them with confidence. If there is a dispute down the line, an On Call attorney can prepare a response on your behalf. Included in your Rocket Lawyer Premium plan. We're pretty sure you'll love us, but if you're not convinced, you can easily cancel at any time. Our step-by-step interview process makes creating a printable Bill of Sale easy.